You don't find many grey elephants in Denmark do you? If A=1, B=2, C=3 etc what letter is represented by the number you are thinking of now? What is the colour of that animal? The magician then says ""There aren't many grey elephants living in Denmark are there?"" 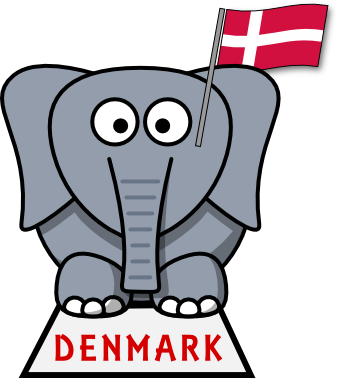 Virtually everyone in the room will have thought of Denmark as their country and as elephant as their animal. Is this magic? You could investigate the probability of this happening. Having first satisfied yourself that everyone will arrive at the letter D independently of their starting number. How many countries are there starting with D? How many animals beginning with E? Of all the animals beginning with E how likely is a person to choose elephant? This survey attempts to answer this question. Can you make up for yourself a similar trick (but not using Elephants from Denmark). 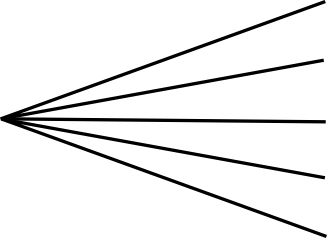 Finally a demonstration of tree diagrams can be used to explain the probabilities of these tricks working. So far 3704 survey entries have been received in which the calculations were correct. 70% of those entries had chosen Denmark. 7% of those entries had chosen Dominican Republic. 5% of those entries had chosen Djibouti. 2% of those entries had chosen Dubai (even though Dubai is not a country). 4% of those entries had chosen Dominica. 69% of those who chose Denmark then chose an elephant. 9% of those who chose Denmark then chose an eagle. 9% of those who chose Denmark then chose an emu. 4% of those who chose Denmark then chose an eel. 1% of those who chose Denmark then chose an earthworm. 2% of those who chose Denmark then chose an elk. 2% of those who chose Denmark then chose an echidna. 1% of those who chose Denmark then chose an ermine. The following table shows how popular the starting numbers were. Numbers greater than 20 are not shown. How do you spell that colour? The colour of the elephant! The motivation for conducting this data collecting exercise is an email from a TV researcher saying that John Stossel would like to use the tree diagram for his show on Fox Business Network to be broadcast at 9pm on 4th December 2014. The probabilities on the original diagram were made-up numbers for illustration only and the request to use the diagram prompted Transum to collect real data and update the diagram. "I took the survey and ended up with Denmark and chose an emu but then felt not so smart because I really didn't know if an emu was grey or white. So I switched to elephant and found out I was with the majority of others who chose elephant. I wonder how many of those switched from emu to elephant for the same reason. Does the model predict that?"